Key concept - Systems - How do different systems interact on Earth, in the solar system and in the universe? Related concepts - Models and environment - How can we use scientific models to explain events and predict future events? Global concept - Orientations in time and space - Why is the position of Earth in the solar system essential for our survival? THEORY 1 - The first well known theory of the universe was described by Aristotle in 384 B.C. and then developed by Claudius Ptolemy in 100 A.D. This theory states that The Earth was the centre of the universe and all the planets, The Sun and the stars rotate around it. This is called the geocentric theory because the prefix "geo" is to do with The Earth. 1. How many words can you think of beginning with "geo"? THEORY 2 - Over 1000 years later, Nicolas Copernicus developed the heliocentric theory. This states that the Sun is at the centre of the universe with the planets rotating around it. At the other stars are around the outside but not moving. How could "helio" be related to the sun? Does this match perfectly with what we know now? Extension: Imagine you are Nicolas Copernicus and write a letter to convince your fellow Scientists about your observations. 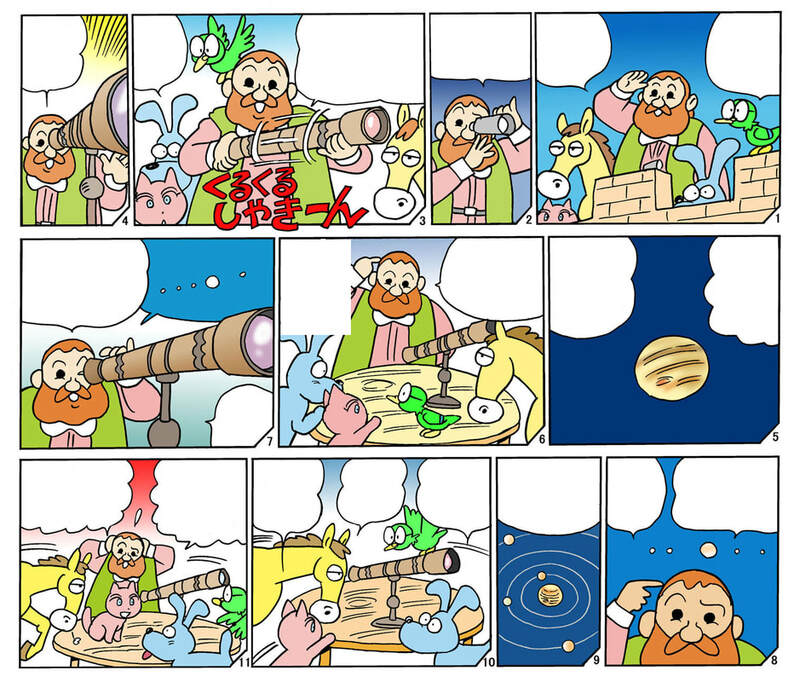 Use these comic templates to tell the story of Galileo's discoveries. 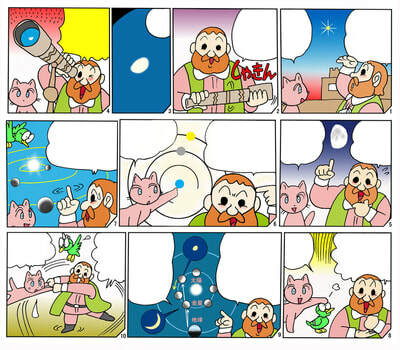 ​Task 1c: Write down as many things as you can about how the universe was created. Looking out into space, we can see that all stars and galaxies are actually moving away from each other. This suggests that the Universe must be expanding. If we were to reverse time then we would see everything moving together until . . .
. . . at some point everything must have been found in a single point. This suggests that there must have been some kind of explosion which created the universe from a single point. We call this The Big Bang. 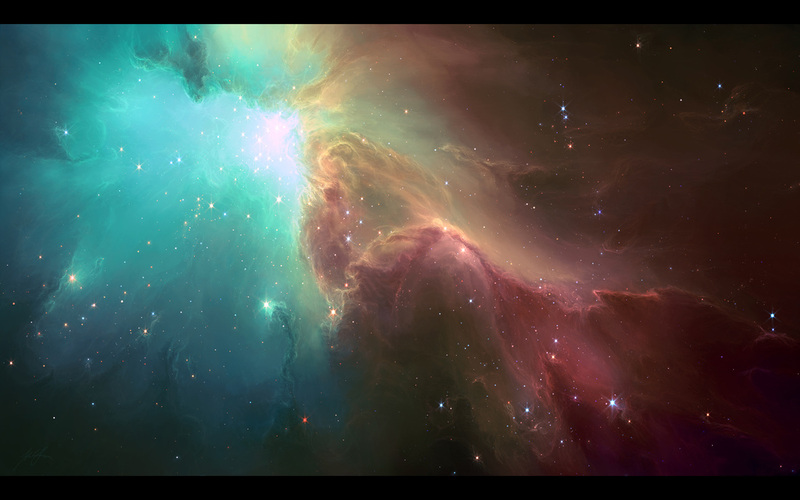 Click on the photo above to see a video showing the futhest stars that we can see. 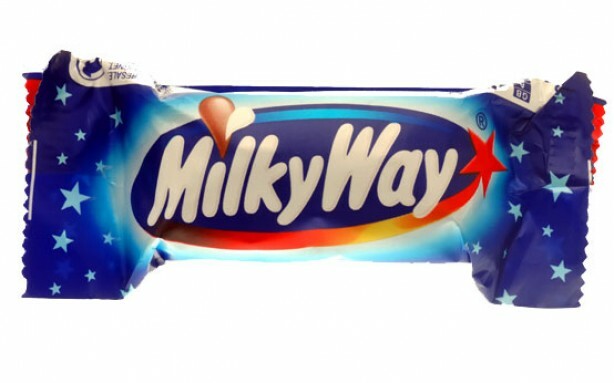 They are 13 billion light years away! Add 2 more things you now know about the Big Bang. State how old the universe is? Explain why are the words "big" and "bang" strange to use for this theory? Extension: Explain what cosmic background radiation is and how it supports the Big Bang theory? What can we find in our Universe? 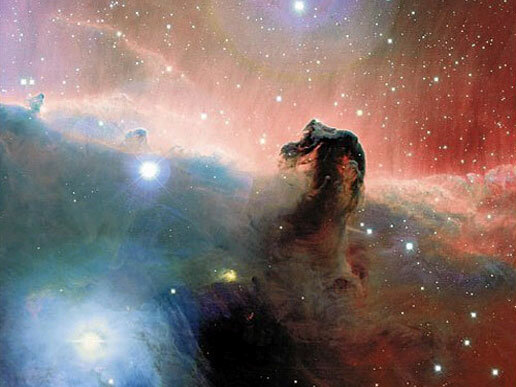 This image is of a nubula called the "Horsehead Nebula" because it looks like a horse!!! Task 1f: Copy and paste the images below next to the correct term in your NSD, in order of size. Start with the smallest! Stars are large balls of gas - mainly hydrogen and helium - that are releasing lots of heat and light energy due to chemical processes. 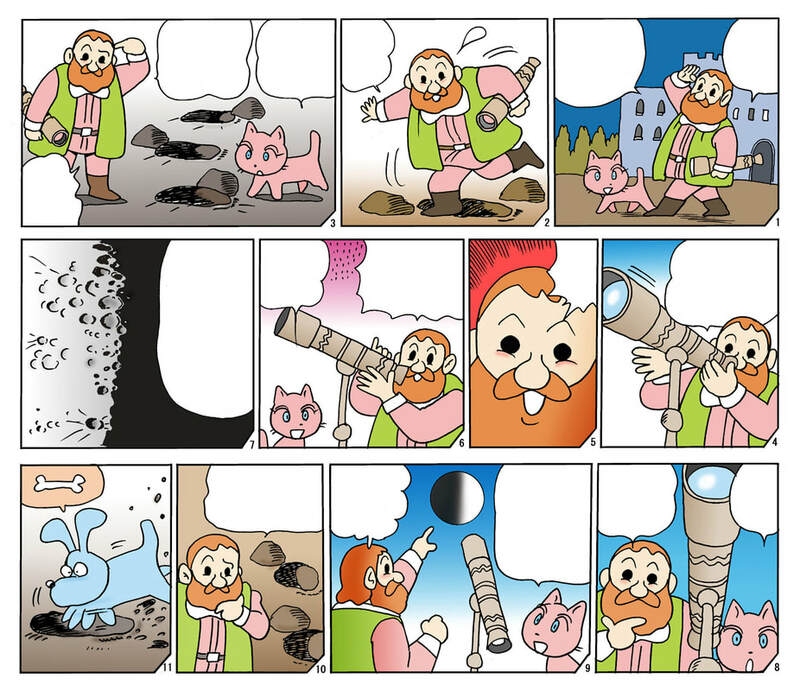 You may have noticed that in some of the images above, the stars are different colours. 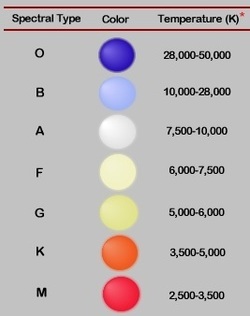 The colour are shown to the right and they depend mostly on the temperature of the star. The star in our solar system is called the Sun. The temperature on the outside of the Sun is about 5500 ºC but in the middle it is 15,000,000 ºC.! Interactive: HOW BIG IS THE UNIVERSE??? 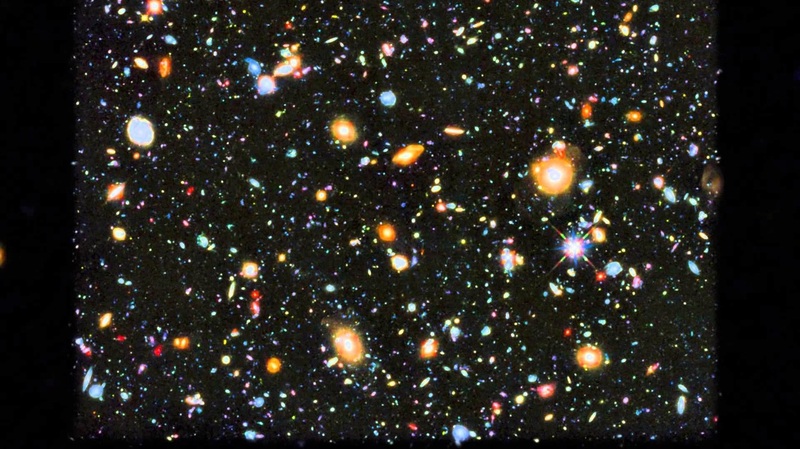 The furthest that our telescopes allow us to see is about 13.8 billion light-years. We call this the observable universe because this is the maximum that we can see. However, because we know the universe is expanding, the actual universe must be bigger than this. What units of distance do we use in space? It would be ridiculous to use normal units of distance such as metres and kilometres as the numbers would be so big. For example, the distance between Earth and Mars in metres would be 4,700,000,000,000. To avoid these large numbers we use astronomical units (AU) and light-years (ly). 1 ly = This is the distance that light can travel in 1 year. Approximately 9,460,800,000,000 km!!! State which units would be best for measuring the distances between galaxies? Why? 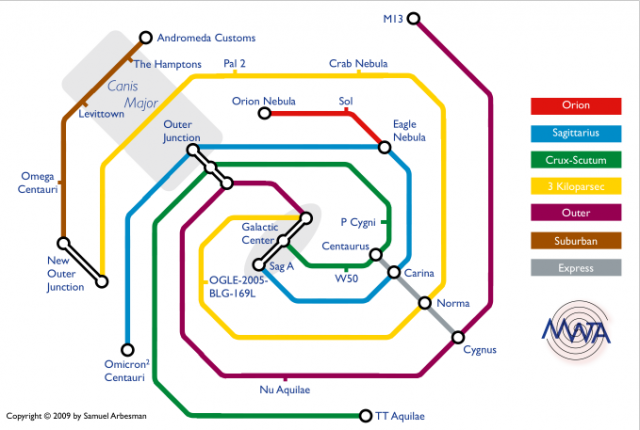 State which units would be best for measuring distances in our solar system? 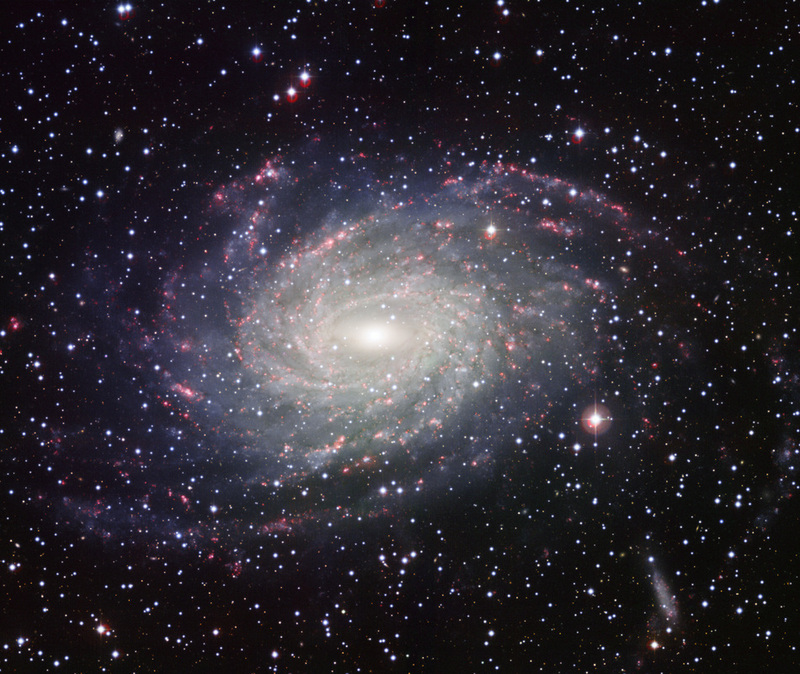 Calculate which the longest distance is - 1 light-year or 100,000 astronomical units? The distance between the Earth and the Sun can also be described as 8 light-minutes. Write a definition for a light-minute. As you saw in primary, our solar system is made up of several different different things. You will need to be able to describe its composition and explain various facts about them. 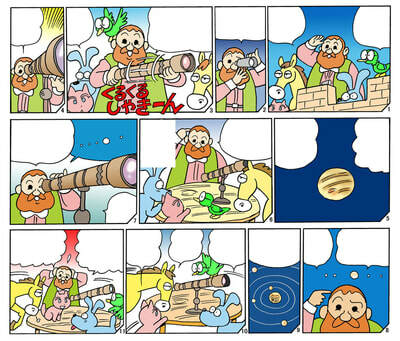 You will NOT need to remember all the individual facts about the planets! Task 1h: Describe 3 differences between the terrestrial planets and the gas giants. There used to be 9 planets in our Solar System, now there are only 8. Explain what happened to the 9th planet? Explain why do the inner planets have higher average temperatures than the outer planets? Explain which planet would take the longest to revolve around the Sun? Explain why do the bigger planets usually have more moons that the smaller ones. Explain why is Jupiter useful for the safety of the Earth? Which other planet would be most suitable for humans to live on? Explain your answer. Venus has an atmosphere made of 97 % carbon dioxide compared to 0.1 % on Earth. Explain why this makes Venus a much hotter planet? 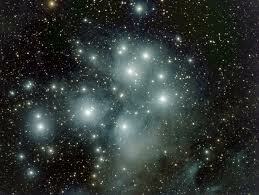 If we look at the stars and galaxies around us, we notice that they are all moving away from each. Explain how this helps us to work out that the Universe started at a single point? 3. Design a poster in which the planets are in scale in respect to the sun and add information about the planets (density, atmosphere, gravity, temperatures, length of days and years etc., and the distance between each. Task 1j: Criterion C practice: Use the information below to create a scatter graph about the distances of each planet from the Sun and the surface temperatures that they have. Add a line of best fit (línea de tendencia) that most accurately fits your data. Label the axes with units. When it has been checked by your teacher, you can take a photo of the graph and paste it into your NSD. What does the line of best fit show about the distance compared to the surface temperature? Why is this? Are there any planets that do not fit the trend? Why is this? Why is Earth´s distance from the Sun important for life? Which other planet might be able to support life? Explain why? Homework: Choose one of the 8 planets and imagine that you are on holiday there! Write a postcard back to your family in Seville describing the holiday. Include interesting facts and possible activities that you have been doing. Rotation - This is the movement of Earth around its own axis. The Earth makes a complete rotation once every 24 hours and this is responsible for day and night. The Earth´s axis is tilted at an angle of 23.5 º and this affects the length of days and nights, depending on location. When a location is in the path of the Sun´s rays then it experiences daytime. When it is on the opposite side of Earth then it will be in night. The tilt of the Earth means that the length of day and night can vary. 2. Revolution - The Earth also moves in an elliptical orbit around the Sun. This movement, with the tilted axis of Earth, is responsible for the seasons we experience. When the Earth is tilted towards the Sun (as in the diagram to the right), the same number of Sun´s rays are falling on a smaller area of the Earth´s surface. this can be seen in the length of the red lines in the diagram. This means that more heat and light energy is received in the northern hemisphere and therefore we have summer. As the Sun´s rays are more spread out on the Earth´s surface they receive less heat and light energy. This is called winter. As the Earth revolves around the Sun, the northern hemisphere will gradually end up pointing away from the Sun. This reverses the seasons. The points in between summer and winter are when the tilt of Earth is not pointing to or away from the Sun. NOTE: The seasons are not caused by the distance from the Sun!!! The most northern city on Earth (also write the name). The driest place on Earth. Showing a picture of the Sun at midnight. An animal that lives near the South Pole. Extension questions: Use the map to state which of these countries lie on the equator: Venezuela, Gabon, Tanzania, Indonesia and Hawaii. How does the orientation of the Moon affect us on Earth? Can you state any phenomena on Earth that are caused by the Moon? A satellite is an object that has an orbit around something else. For example, the Earth is a satellite of the Sun. The Earth also has its own satellite that we call The Moon. The moon was created by a collision between 2 planets that caused one large piece of debris that became the Moon. The rest of the debris reformed the planet we now call Earth. Which force pulled the debris back together to form The Earth? Make a pie chart about the chemical compostition of Earth and then make one for the Moon using the data to the left. Explain how this helps scientists work out that the Moon and Earth were formed from a collision. Extension: Which gases in the Earth´s atmosphere are most important for life? Why? Do any other planets have these gases in their atmospheres? The Moon revolves around the Earth once every 28 days. It also rotates around its own axis once every 28 days. As the Moon does not produce any light, we can only see the part of it is reflecting the Sun´s light. This means that we see a variety of shapes as it revolves around Earth. Which phase of the Moon reflects the most light towards Earth? Which phase the least? Mr Rouf has said that the use of paper is "waning" in our school. What does he mean by this and why? Use the word "waxing" in a sentence. What causes the large craters that you can see? Extension: How did the Moon cause this boat to become stranded? The gravity of the Earth keeps the Moon in a permanent orbit. The gravity of the moon, however, also has an effect on the Earth. As it revolves around the Earth, its gravity causes the oceans to bulge towards itself. This causes a high tide (marea alta). 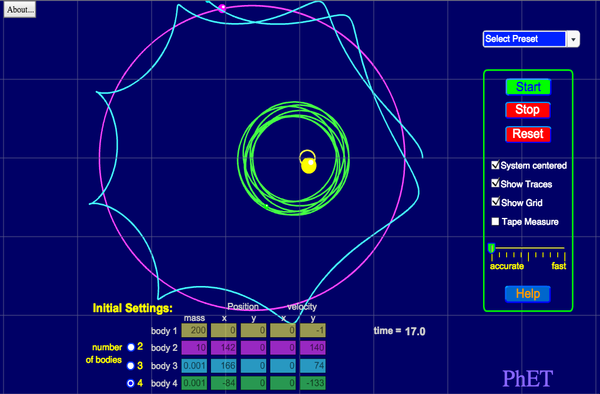 See how tides work in this simulation. For the places that are at the side of the Earth they have a low tide. Why does the water "bulge" the opposite side of the Earth as well? The gravity from the Sun can also make tides bigger or smaller. It the Moon and Sun are aligned then we get even higher tides. If they are not aligned then the tides are smaller. 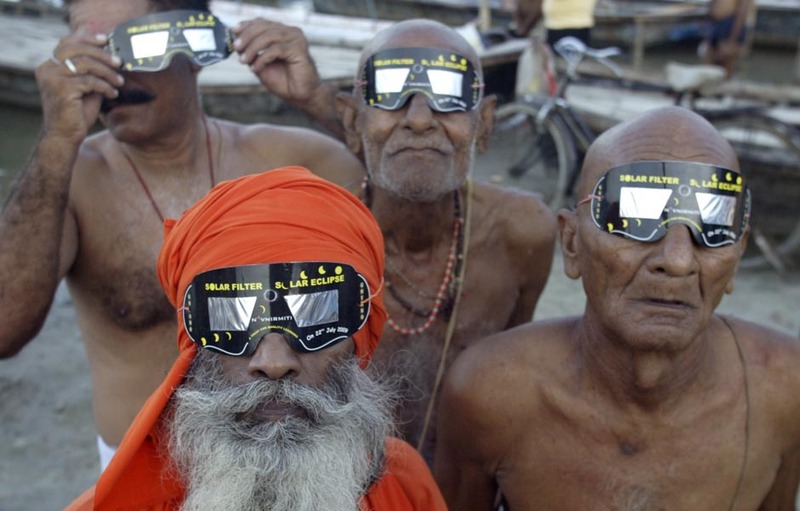 How is this photo related to eclipses? As the Moon revolves around the Earth, it sometimes blocks our view of the Sun and sometimes is hidden in Earth´s shadow. When this happens we see an eclipse. There are 2 types of eclipse depending on where the Moon is: A lunar eclipse or a solar eclipse. 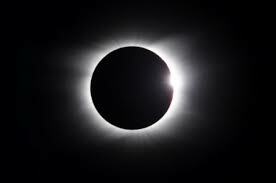 A solar eclipse is caused when the Moon is positioned between the Sun and the Earth. This means that in a small area on Earth´s surface, the Sun is completely blocked from view. This is a total eclipse. Other parts of the Earth´s surface will experience a partial eclipse if the Sun is only partially blocked. Some places may not experience any eclipse. Normally when the Moon is the opposite side of the Earth, we see a full moon as we see the reflection of the Sun´s light off the full half of the Moon. Sometimes, however, it passes through the Earth´s shadow. In this case, the Moon will not reflect any light and so looks as if it is disappearing (as in the photo on the right). Task 1n: Click on this link and complete questions 1-4, in your NSD, from the "Exercises" tab. Barrio Gómez de Agüero, J. (2011). Natural sciences, ESO 1. [San Fernando de Henares, Madrid]: Oxford Educación.